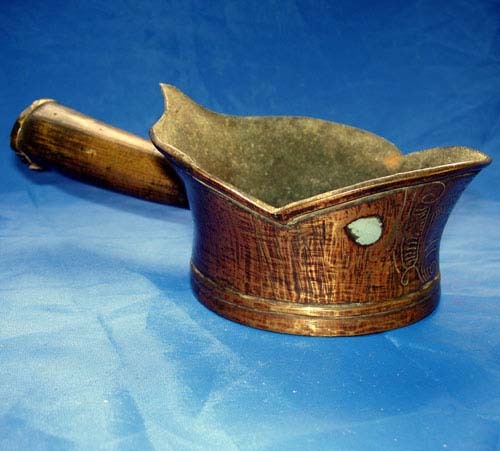 Bronze Chinese cooking pot with hollow handle and flat, smooth bottom. The edges of the pot are scalloped coming to a point at the handle end. Good. Missing part of handle.